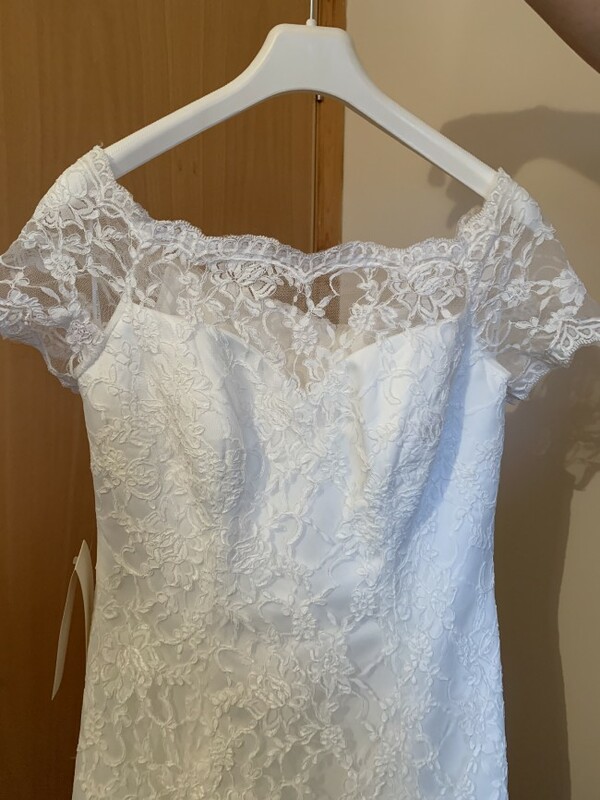 This Dress was bought new from a Bridal shop.It has never been worn, labels still attached, never altered. This is a stunning sweetheart shape, lace, full length gown , it will make any bride feel special for the big day . The dress is designed with a stretch corset style basque which creates a slimline waist.